Confession time: I've been a nail biter since before I can remember. Seriously... pretty much since the time I first grew nails as a toddler, I've been biting and picking at them. It's a lifelong habit that I've tried so hard to break throughout the years. I'd always painted my nails regularly growing up, but I'd always pick or bite the polish off, which was terrible!When I got my first full-time job last year, I decided to start treating myself to regular manicures as a way to hopefully combat my habit. I figured that spending money on my nails would prevent me from getting at them. After a year of frequent gel manicures, I had my first SNS ("Dip Nails") manicure this past spring, and this immediately became my favorite nail treatment ever! 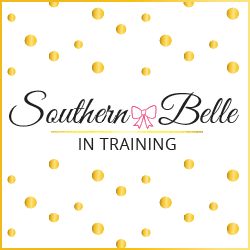 I'm sharing today about my experiences with SNS, how it's helped my nail biting, how it compares to gel, if I think it's worth the cost, and more! *What is SNS? 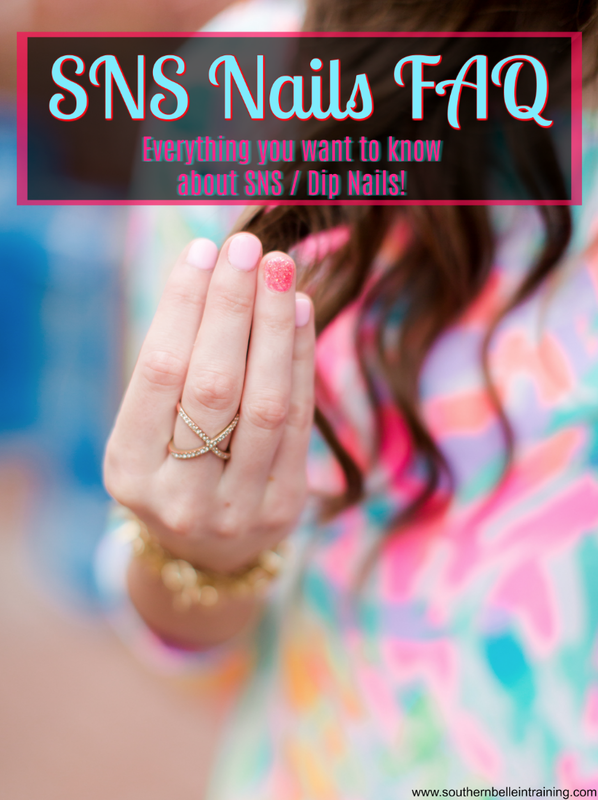 SNS is the brand name for the leading type of dip powder for nails (think like Chapstick for lip balm! ), but there are other brands that make it as well. Most people just call dip nails SNS since the brand is recognizable. Anyways, dip powder nails are a polish-free way of having non-chip color on your nails. SNS (or whatever brand your salon uses) is literally a powder that your nail is dipped into, after having a base coat applied. The powder is able to be set without any UV light, making it different from the gel manicure process. Most salons offer tons of colors to choose from, just like nail polish selections. SNS has gained popularity in the last few years due to its long lasting effects- the average manicure lasts three weeks with no chips, and sometimes longer! *How is it applied? It's recommended to get a full manicure with SNS, and not just a color change! First, your natural nails will be trimmed and finely buffed, so that the powder will have no trouble bonding to them. This part is just like a normal manicure! You can also choose to have nail tips glued on during this step if you'd like your manicure to be longer than your natural nail. When that's all completed, a base coat will be applied to your natural nails. The nail technician then dips your fingers (one at a time) into a little container that has the SNS powder in it (in your color of choice). After dipping, the excess powder is knocked off, and another coat of the base is put on your nail. They are then dipped 2-3 more times into the SNS powder! Finally, nails are finished with one or two top coats, and then left a few minutes to dry. *How is SNS different from gel? Gel manicures are very similar to a normal manicure, as polish is applied to your nails! The polish is then set by drying your hands under UV light. 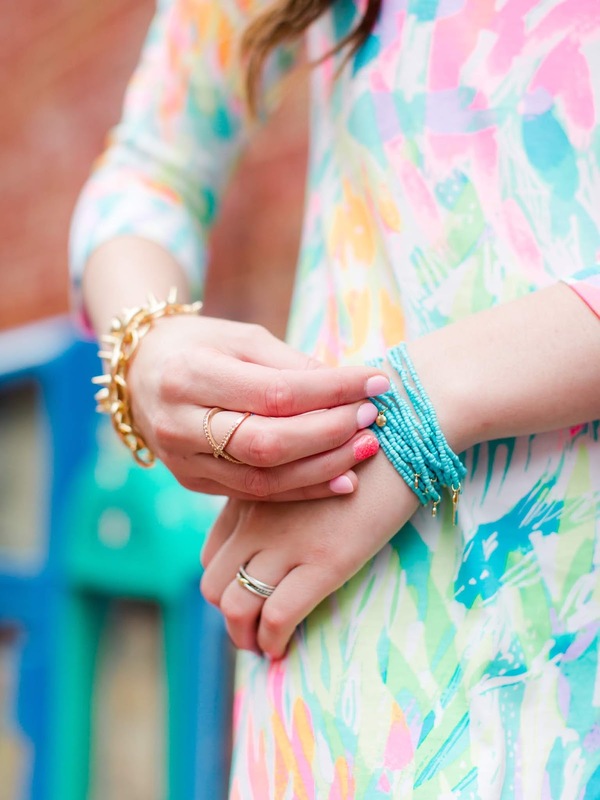 SNS has no UV involved, so it's much safer for your skin! There's also no polish involved. I got gel manicures twice a month for a full year, and I found that gel polish often didn't last that long on my nails. It's supposed to last 2+ weeks, but usually by day 10 it was peeling and chipping. SNS lasts much longer on my nails, which makes it worth it for me! *How long does it last? THREE FULL WEEKS!! Only one time did I have an SNS manicure begin to chip a lot before the three week mark. One of the last ones that I had lasted almost a full month before chipping! *How much does it cost? SNS manicures are a pricier color treatment at most salons. The average price that I've seen is about $45, with some salons charging more, and some less. (Anything above $60 for SNS is ridiculous though!) Gel manicures usually run between $25-20, and regular manicures around $20. This is more of an investment treatment, I find it worth it because it a.) lasts longer than anything else, b.) doesn't have UV, c.) looks beautiful on. *Does SNS help nail biters? 100% yes!! I mentioned above, when I got regular gel manicures they rarely lasted the full two weeks. I found gel manicures very easy to peel off (even though it's very bad for your nails to do that), and after one or two nails would chip it would drive me nuts, and I'd peel the whole thing off, then start biting my nails again. 😐For the first three weeks with SNS on, it's literally impossible to pick or bite your nails, as the SNS powder bonds so tightly to your nail!! After three weeks they can start to chip, but it's still a lot harder to pick it off than with gel or regular polish. I don't bite my nails at all when SNS is on, and it looks so good! Here are a few snaps of various SNS manicures that I've had this year. I love doing a different colored accent nail on my ring fingers! I have yet to get the same colors twice. The first picture below actually shows what gel looks like at almost three weeks grown out- still looking great! Please let me know if you have anymore questions!! For my Charlotte girls, I recommend Anthony Vince Nail Salon in SouthPark for dip powder! I visited there this past Labor Day Weekend and I was so impressed with the result (pictured above). Feel free to email or DM me if you live in or near Charlottesville and would like my salon recommendations for this area! I've actually been planning a similar post because I'm OBSESSED with dip nails!! I have the same problem with gel - it chips so much, so quickly. I'm like, who is this lasting 2+ weeks for?!? I can easily get 3 weeks or more out of dip nails and it really doesn't look bad as it grows out if you get light colors. I miss my SNS nails so much! Makes me want to get them again!! I love SNS nails! I got my nails done with SNS last year and loved it. I wish I got them more often! Nice!! I have heard of dip nails, but haven't tried it. But after reading your post it sounds like the perfect manicure for me. Oh man, I'm a nail biter so this sounds right up my alley! I'm looking for a nail salon in DC that does dip powders now! i switched from gel to dip - and never going back! Wow - they look amazing! I've never had a SNS manicure but will have to try one out :) I love how long they last. Thanks for sharing!!! I'm a pedicure girl 3/4 of the year... but come winter it's all about my nails! I can't wait to check out SNS! I've never heard of this and I don't get manicures because I hate spending money for my nails when they are going to copchip anyway. I'm def looking into this! I've never heard of this but I love that it doesn't use UV! I'll definitely look into this! !